Sing with one of Ipswich's newest community choirs. 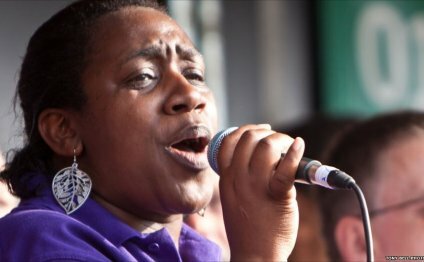 Whether you've been singing for years, or never sung before you'll enjoy music old and new, from pop and gospel to classical, world music to folk songs. An informal and fun community, relaxed but challenging and rewarding - open to everyone - no experience necessary! We don't ask anyone to sing solo, there are absolutely no auditions and we don't mind if you can't read music. In fact, quite often we don't even use music, so not reading it can be an advantage! We especially would love more men to join us - you will receive an extra warm welcome. Workshops, performances at local venues and social events during the year. Watch for details. Rehearsals are around twice a month (bank holidays permitting) on Mondays from 8pm to 9:45pm - just come whenever you can. Dates are below. We don't make any charge, but donations for refreshments in the break are always welcome. Monday 11 Jan - Fish and Chip Supper! We were fortunate to be invited to sing once again at the East Anglian Children's Hospice (EACH) Carol Service in Woodbridge where I think we are safe in saying our rendition of Jingle Bells was again a highlight. We also sang Alan Bullard's lovely Scots Nativity and the choir did a magnificent job of John Gardner's "Tomorrow Shall Be My Dancing Day"